The first monumental sculpture from Tim Cotterill! Free-standing limited edition bronze sculpture is the biggest frog of them all. Can be displayed indoors or out--anywhere you want to make a huge statement. 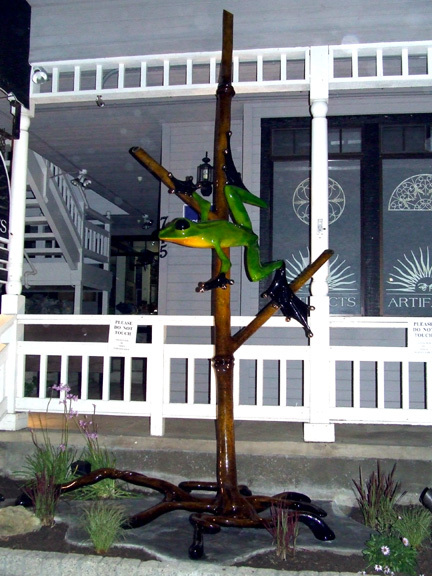 Incredibly dramatic sculpture features a frog climbing a tall bamboo stalk, based on the tabletop "Bamboo" sculpture. Customize your sculpture by choosing your own colors for the frog and bamboo patinas! Call for details.